Mike Nudelman/Business InsiderElm Grove, Wisconsin is the best suburb in America. 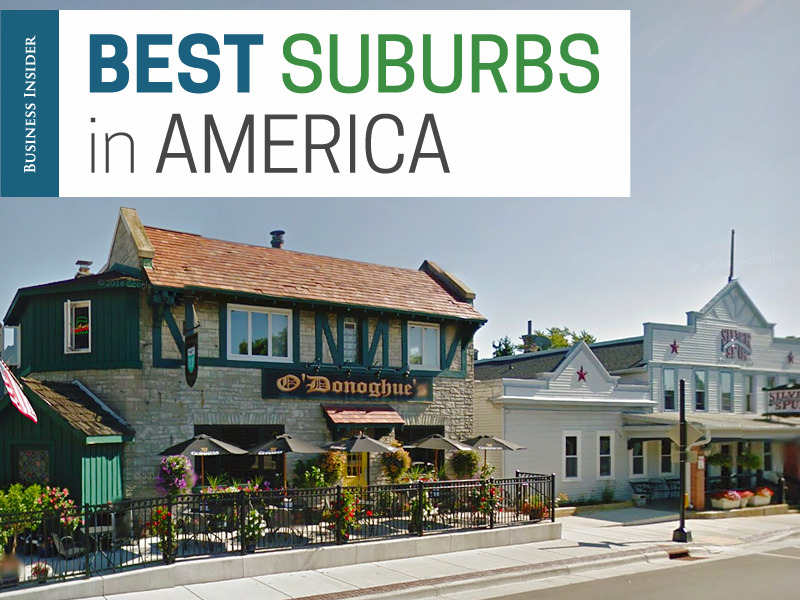 We recently published The 50 Best Suburbs In America, and Elm Grove, Wisconsin, was ranked the best suburb in America. For this list we looked at over 300 suburbs with populations between 5,000 and 100,000, and factored in things like average commute time, median household income, poverty and crime rates, public school ratings, and housing affordability. Elm Grove may be small, with a population of just 5,934 residents, but it has excellent schools, almost no crime, and is fairly wealthy, with a median household income of $US109,993. Residents can make the quick 20-minute trip to downtown Milwaukee, or head 15 minutes west to Lake Country — a popular summer getaway with outdoor activities like boating, biking, and camping. 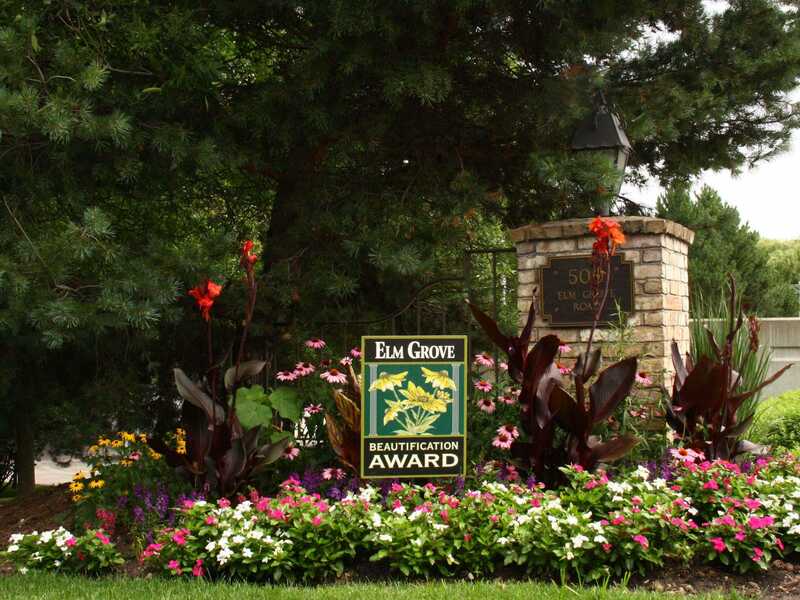 The Village Of Elm GroveThe Village of Elm Grove awards homes with beautiful gardens and lawns. The city, nicknamed “The Grove,” takes its parks — and its environment — seriously: It earned the state title of “Bird City,”which means that the city is committed to making its environment thrive for birds, wildlife, and people. Elm Grove shares schools with its neighbouring town, Brookfield. However, unlike Brookfield, Elm Grove does not have any mega-chain-stores. Instead, residents shop at local stores, like John’s Great Harvest, a famous bread store that appears at local farmers markets and attracts people from all over the region for its freshly baked breads. Several new local businesses recently opened in the downtown area, including Fazio’s Sweet Moments Sweet Life, a gourmet chocolatier, and Sparkle Spa, a skin care spa owned by local resident Laura Robinson. The town also has two staple hangouts: RJ’s Ice Cream for kids, and O’Donoghue’s Irish Pub for adults. There’s also a strong sense of community, with year-round events that bring the town together. In 1966 the town established the Elm Grove Junior Guild, which relies 100% on town volunteers to put together the annual Easter Egg Hunt, Memorial Day Parade, Fourth of July Games, Safety Village, the Children’s Halloween Party, and Breakfast with Santa. And residents seem to love it so much that they never leave. Rebekah Schaefer grew up in Elm Grove and later moved back to the area to raise her own family, which she says is very common.